Give your car the performance appearance and edge you have been looking for with the CorkSport Lowering Springs for the 2004-2009 and 2010-2013 Mazda 3. 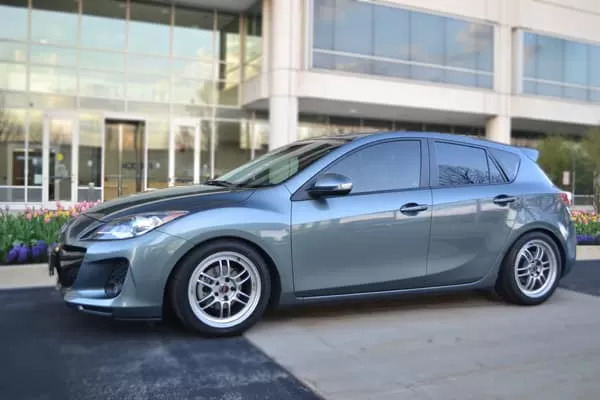 By reducing ride height approximately 2.25" in the front and 1.75" in the rear, adding the CorkSport Lowering Springs to your Mazda 3 will result in a quicker turning response, crisper road feel, a more aggressive appearance, and a firmer spring rate, all while maintaining excellent ride quality. I really love the lowering range these springs gives to my 2012 Mazda3 2.5 sedan. My front and rears are equally lowered. If I drive through a bump, or hole too fast my shocks will bottom out. Lastly, I hear clunking noises on the front when I turn my wheel even sitting still. My mechanic wants to charge me to install some rubber silencers to place on top and bottom of the front springs. ***CorkSport Reply: Joel give us a call, the sound is not normal and should be pretty easy to fix without the rubber silencers. I've had my lowering springs on my 2013 mazda 3 for about a year now. In the beginning they were great, rode smooth, a nice functional drop. Only issue I'm having now is they're all making noises. Had my car up on a lift and the rear passenger spring is 'loose' feeling, can squeeze it easily. Not too sure what could be wrong, any ideas?? ***CorkSport Reply: Heather give us a call, the sound is not normal and should be pretty easy to fix. I have a 2010 Mazda 3 sport GS 2.5l, and Iam running a 17x8.5 rim with 45 offset and a 255 40r17 Good Year Eagle Sport tire. I had to roll the fenders in the back and the tire easily tucks under heavy load so I have no issues with the back. My question is for the front, my tire is almost to the outside edge of the fender but since there is not much suspension travel/ room into the wheel well on the front right now it's fine. will this spring cut down on suspension travel? and do the front tires on other cars with this spring tend to tuck in past the top the fender opening? Also I noticed the mazdaspeed lowering springs don't lower as much, would that spring work on a Mazda 3? I have a 2011 Mazda 3 with 18x8 wheels with a 40mm offset and 215/40/18 tires. Will these fit on my car? I have a 2010 Mazda 3 2.5l with rally armor mud flaps and stock everything else, will these fit and have any sort of rubbing on the fender or when I turn will the tire rub on the struts or the new springs? These springs are great and easy to install. It took about 2 hours and the car was back on the ground and ready to go. When I read how much these springs dropped the car I was excited, but I was totally blown away when the car was put back on the ground. The springs completely closed the wheel cap to credit card fitment in the front, and I'm not running a crazy big wheel in the front. (18 x 9 with a 235/45 18) wasn't expecting that much of a drop. The rears on the other hand were disappointing after seeing how much they dropped the front. There is still a two finger gap in the rear. Wish corksport had the option to upload pictures, because I'd have some up for you guys. I'm looking into purchasing 17x7.5 with a 35 offset for my 2012 3 hatchback with about 33,000 miles. Will I need to roll any fenders? And should I look into purchasing new shocks/structs? They are currently stock. Will these springs lower my 2007 Mazda 3 to much where I cant get over speed bumps or scrape everywhere? Fast shipping. I've never installed springs before but I'm mechanically inclined. All I needed was a spring compressor I rented from auto zone and with the very detailed instructions and pictures this was a very easy installation took me about 4-5 hours and the car sits and rides nicely. Very happy with the purchase. Also recommend getting the skid plate for the Mazda 3. The $280 it costs is cheaper the mashing out your oil pan or other crucial under body parts lol. Would the stock wheels fit or would i have to get aftermarket wheels with the springs? Do you need to install a camber kit with the lowering springs? It won't effect the tires if i don't install the kit right? Would this fit Megan's street series coils? This is the ride height it should of had from the factory. I was given a stern reminder of why I call the spring compressor tool I have the kiss of death. Only almost died once when the tool gave way, and the spring went flying past my head. Can't use the front central jack point anymore, too low for my floor jack, found that out when I took it off jack stands. As for pounding off the steering knuckle to free the front struts - don't, I don't even do that at the dealership when customers need new shocks/springs. I take the lower control arm off instead, and remove the knuckle/strut as one piece, then use a shop press to remove the strut from the knuckle. I did this for looks only, shouldn't comment on performance gain, because I can't tell a difference from stock springs vs. these. I already had stiffer shocks, stiffer sway bars. It's a perfect drop, passes the shoe test with flying colors. Dropped my '10 gt. Rears seemed to be high on the sedan at first but now that everything's settled the wheel gap is gone and looks sweet. Camber in rear was just at acceptable limits for alignments so no need to buy toe or camber arms! Besides being nice and low taking off-ramps at 50 and keeping flat is fun too. Recently installed these springs on a 2012 skyactiv. I didn't want to slam it and also didn't want a bone jarring set up with every bump in the road and this has met both expectations. The drop is very ascetically pleasing and leaves enough ground clearance for street use without worry of scraping etc. Also the increased spring rate is just enough to get excess roll out in the corners without being unreasonably stiff for long rides. In summary. If the ground clearance leaves a bit to be desired, you want to tweet your set up for a little less roll without a harsh setup then I'd highly recommend these springs. Replacement of the springs alone is a very economical choice. Will it fit on a 2011 mazda 3, 2.5? Installed back in January, and love the way my 2010 hatch sits now. I'm going to be going lower soon though. Rides awesome! I have a 2009 sedan and the front dropped really well, however I parked next to a stock height 3 and saw no difference in the back... I'm assuming this is because one, the back is a lot lighter than the front and two, the rear springs weren't very different from the height of my stock rear springs. All in all it looks decent, rides really well though! CorkSport Reply:Give it a little more time on the rears to settle and lower. if i put this on my 2011 sedan is the drop going to look like the pic? I have a 2004 sedan with 225/40 r18 wheels,, I was wondering if install the Corksport lowering springs will I need a wheel alignment? CorkSport Reply:Check out our FAQ tab for this product listing for an answer to this question. I have an 05 sedan, I also have continental DWS tires. Not the thinnest profile. I measured out 2.25" and it goes a little over the tire. Should I camber to be safe? CorkSport Reply:Check out our FAQ for the answer to this. What makes corksport lowering springs a better choice than eibach sportline springs aside from the drop height? would these fit fine on a 2012 mazda 3 skyactiv? would i need any other purchases besides the springs? Does it settles in more? If I put these springs on my Mazda 3 2012, will I have to line up my wheels after? If we buy these springs will it wear out the shocks quicker? I heard lowering springs can possibly damage the shocks..
Do they fit the skyactiv mazda3? Will these fit a 2014 Mazda 3 sedan? do you ship to Canada? ? will i need to buy the chamber kit with these springs. would these fit or would there be rubbing? Do I have to buy sport struts to go along with the lowering spring? Hey there, i'm considering these VS pro kit/Road Magnets for my 12' SkyActiv Sadan, are these linear or progressive? I have a 2006 Mazda 3 sedan with Mazdaspeed 3 (first gen) wheels. Would the regular Mazda 3 lowering springs work or should I get the ones for the speed 3 instead? I have a 2007 Mazda 3i with fresh oem shocks and struts all over. Do you know if these springs will ruin the factory shocks with this amount of drop? What shocks does corksport suggest to use with these springs? Also will i be able to align my car or do i need to buy any other parts? Hey guys. Will I need to get new camber arms if I use these springs on my 2013 skyactiv sedan with 12,000 miles? I want to order these springs but is there any additional mods I need to do if I have 18x8 +42 rims with 225/40 tires? Just put a set of tenzo wheels on my '12 Skyactiv. They're 18x8 +40 just wondering if I'd have any issues with the drop theses springs give combined with my wheel dimensions? Thanks in advance! What size are those RPF1's on the image? would i require the camber plate to properly align my vehicle after the purchase of the CorkSport Strut and Spring setup? I see that you don't need anything else besides the springs, but are anti-roll bars recommended with these? And how is the ride compared to stock? I own a 2011 mazda 3 2.0 and my question was if I put these springs on my car will it be too low for the winter snow as I live in Canada. Also will it fit for my summer tires : 225/40/18 with 50mm offset. Own 2012 mazda 3 sky active with 20 inch rims... will springs make tires rub?? Would these fit 235/45R17 tires? Will these fit if my wheels are 18x8.75? I am running 215/60/r16. Will these rub? 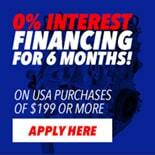 Good idea for my 2012 mazda 3 sky activ with 15,000 miles? Will these fit 2011 Mazda 3 sport hatch? What are the spring rates for these springs? i own a 2013 mazda 3 2.0 liter and has 10000 miles on it. Do you think it would fit to my car? Will i need to buy a set of adjustable camber arms along with the springs to make the ride alignment better? Or will i be fine with just the springs? Considering buying these for my 2010 3s 2.5L. What wheel and tire size would you recommend for best fitment and reliability? CorkSport Reply: Give us a call, 360-260-2675. CorkSport Reply:No they will not. Installed these springs on M3 2012 1.6L 4DR with 215/45/17 tyre. Have the wheel aligned & balanced. 10-20mph drive I felt vibration/shaking during acceleration on the front. Any idea what caused the vibration/shaking? Hey, just out of curiosity...do you think that these springs will be ok for track use every once in a while? Also, is there a reason why the front looks lower than the rear? CorkSport Reply:They would be fine for a track day if you have some upgraded dampers to use. Set of 2 or 4? CorkSport Reply:It is a set of 4 springs, 2 front and 2 rear. Are these springs compatible with a 2004 3 sedan? Will i need a camber kit to go along with these springs since the drop is so low? i drive a 2013 SA Mazda 3 with 1k miles..
CorkSport Reply:They should work great. CorkSport Reply:They would fit but the spring rate would be a little out of whack, the Mazdaspeed 3 is heavier. Check out our Mazdaspeed 3 specific springs for the correct fitment. Will i need to purchase anything else besides the springs for a 2013 3 hatchback SA with 16 inch rims? CorkSport Reply:No. Last we checked Mazda 3s in California are the same as the rest of the US so you should be good. Will it still be at a functional height? can I still get up curbs/speed bumps alright? Will these also work on 09 models and with koni struts? I'm here in Australia and the legal lowest height is about 110mm, installing these will the height still be within limits? CorkSport Reply:with the stock body yes you should be fine. If you fit an aftermarket body kit you are on your own. Hi! I just received my order, it arrived 2 days earlier than expected. and the springs seems in very good condition, really excited to see them installed on my car. I'll post a picture of it for everyones reference. I really hope it'll work fine. CorkSport Reply: Yes it will. Is the image shown in this item's description is how the car will be lowered after installing this springs? how will it be relatively to the image shown? CorkSport Reply:The car shown has the CorkSport Springs installed on it so your results should be similar. Any suggestions to add to these? 2011 Mazda 3 2.0L sedan. ~19,000 miles. I'll need the recon sticker, but should anything else be changed? Everything is stock. If nothing needs to be changed, when should I look for signs of wear and tear? CorkSport Reply:Give us a call for details. I just ordered a set, Hope it'll fit exactly with no problem, and will lower my car close to how it is described here. Thanks. CorkSport Reply: With 81,000 miles the stock struts are probably worn out and need to be changed regardless of new springs or not. I am planning on purchasing these as well as 215/45 r17 wheels. Will it rub or anything? I have a mazda 3 2013 itouring skyactiv. CorkSport Reply:If the offset is not to aggressive they should be fine. CorkSport Reply:The springs will fit the 2013 Mazda 3. With 59k on your Mazda 3 I would look at replacing the struts/shocks as well at the same time. We do ship to Dubai. Will i need to roll my fenders? CorkSport Reply:With stock wheels no. If you get some crazy offset aftermarket wheels possibly. If I purchase ur springs for my 2013 mazda 3 I skyactive is there anything else I would need to purchase to avoid problems? CorkSport Reply:You should be good. I have an xxr 552 with 18x8.5 and tires 225/40/18. would this set up fit? CorkSport Reply:It depends on the wheel offset. You may need to roll the rear fenders if the offset is too aggressive. I just installed the springs on stock struts on my 2013 3i with 800 miles, typically how long can you expect to see out of these on oem struts before having to replace them? Roads are pretty flat here. CorkSport Reply: I would check them out at 30k to see how they are doing. What are the specs of the Rpf1's in the display picture? CorkSport Reply: We do not have the specs, it is a customer submitted picture. Will these fit a 2013 mazda 3 itouring skyactiv with a set 18x8 with 40 offset rims and will i need anything else? CorkSport Reply:If you choose the correct tire they should work. You may need to run a rear set of camber arms if the factory alignment has too much positive camber to get some extra clearance. 1-Do you springs control bounce better than my OEM's? 2-Do i need bumper stops for bottoming? 3-Using the stock 17" alloy, what is the max width size I can go in tire size without rubbing wheelwell? would there be negative camber ? or need a camber kit for these springs ? - how much of a wheel gap will be left for the front and rear on a 2012 mazda 3 hatch skyactiv stock wheels.? and there is no rubbing right? CorkSport Reply:There is no rubbing unless you are running an aftermarket wheel with a crazy offset. CorkSport Reply:It depends on road conditions where you live on how long the factory shocks will last. 2012 mazda 3 skyA, 16,000 miles on it do i need to buy anything regarding struts, dampers before i install the springs? CorkSport Reply: You should be ok. Road conditions do play a factor on how long your factory struts last. i have a 2012 mazda 3 skyAct, and i was wondering if i would need to roll my fender or purchase a camber kit due to the lowering height of 2.25 and 1.75? plus when lowered will the front and back be at an even height? I have a 2013 m3 skyactive thats not even a month old. My concern is that will I have to do any type of alinement Ex: camber to the car once the springs are installed or is just and install and go type of situation. CorkSport Reply: You will need to get an alignment after installation to correct the toe in the front suspension. hi i have mazda 3 2012 skyactiv this springs are going to fit on my car? i need to buy something else or just the springs? CorkSport Reply:Yes they fit great. This is an excellent product. I love these springs. An amazing noticeable drop! Thanks corksport! Hi, I have 2012 skyactiv sedan, and I have fitted 20"x8.5 with offset of 35 and car has 20k miles. I was wondering if I would encounter any problems such as rubbing, bad camber, or need replace struts. I just want to make sure nothing goes wrong once installed. I'm coming up on 35k miles on my 2011 Mazda 3 2.5, do I need to replace any other parts or can I just install these springs? CorkSport Reply:Depending on road conditions you may or may not need to replace the struts and shocks based on the milage you have. If you want to be safe change the struts with you install the springs. I have 2012 mazda 3 1.6 4dr, are these springs will work? or any recommendation. CorkSport Reply:The springs will fit the 1.6 models but we are unsure of the amount they will lower compared to the North American models. I read that you can drive with this drop of about 2 inches (average) with stock shocks/struts with low mileage vehicles; how does 20k miles sound? CorkSport Reply:It depends on how the roads are in your area. Are these springs going to fit my 2013 3i? CorkSport Reply:There is no correct answer for your question, it comes down to what you want for function and style. Are these springs a complete set of 4? CorkSport Reply:We recommend an alignment with the installation of the springs. The toe at a minimum needs to be adjusted. i have a 2010 mazda 3 hatchback with 48000 mil, can i just put these springs on right away or do i need something else? CorkSport Reply: With 48,000 miles we would recommend installing the springs with new dampers. Will this fit my 2013 Skyactiv and how low will it drop it? CorkSport Reply:Yes they will fit the Skyactiv models and they will lower the car 2.25 front and 1.75 rear. Im currently running the tein s techs on my 2004 sedan, will these drop it lower? CorkSport Reply:The drop between the two springs should be similar. I've got a 2008 Mazda 3 sport would these springs go straight on with no other parts got 27000 on the clock? CorkSport Reply: If you stock struts are in good shape still then yes. If you are in doubt on them change out the struts too. What size wheel and tire combo are you using on the vehicle in the picture? I was looking a 18" Motegi MR120 with 45mm offset and want to make sure they fit with this lowering kit. Thanks. Would I have to replace any shocks or struts while installing these? Also would the springs wear them down quicker? I have a 2013 mazda 3 2.0 skyactiv with 3850 miles on it. CorkSport Reply: We have found on low mileage vehicles you can install the springs on the stock struts for street driving. Just had them installed, took 2 and a half hours, the front suspension was way harder than the rear but in the end it was worth it. Love the drop in the front and rear. Making my the car look real mean! CorkSport Reply: The springs should work on your Mazda 3. CorkSport Reply:It depends on the mileage of your Mazda 3. On higher mileage vehicles we recommend changing the struts when installing the springs. CorkSport Reply: They will fit your Mazda 3. Getting these before EECMM but I'm slightly concerned by practicality, by safe springs do you mean that they don't rub or scrape the road? Thanks for continuing to put out great products. CorkSport Reply: No rubbing or scraping with the installation of our springs. They should be good for daily driving as well. will these fit on the 2013 skyactiv? CorkSport Reply: Yes they will. these will fit the gen2 speed 3 correct? CorkSport Reply: They should work great. The springs look good but I was wondering if I get 18x9.5 +15 set of wheels what will have to do besides fender rolling ? Or is my best bet is to go with 17s? CorkSport Reply: 8.5 width are tight so you would need to do some fender rolling and pick the perfect offset. will these fit a 2012 mazda 3 hatch? and would these springs slam the car? causing it to scrape the floor ? Ordered them Sunday but have not received them yet and decided I want to get coilovers instead. What are the chances I'd be able to cancel order or return? is this a set already or do i need to buy 2 items? CorkSport Reply: You only need to order 1 set, 4 springs are included. Are these a 2" drop or a 1" drop? CorkSport Reply: The drop is 2.25 in the front and 1.75 in the rear. Im saving up to get these. Ive been looking at quick struts, eibach and a few others. But i think im going with Cork because of the focus on the brand. I'll update once i install and give a good test drive. They fit 2010 mazda 3 hatchback 2.0L? >>CorkSport Reply. Yes they will. With this drop height, will there be any problems clearing speed bumps? I am very interested in buying these springs as I have heard great reviews thus far. However, just to make sure, after installing these springs without any other adjustments (camber, fender rolling), I will not have any issues like rubbing? >>CorkSport Reply: You will not need to roll your fenders unless you have a wider than 8 inch wheel and a offset which pushes the wheels past the lip of the fender. There should be no rubbing. do these fit the 2011 mazda 3 4 door sedan ? >>CorkSport Reply: Yes they fit just fine. Just put them on last week and i love them. Awesome drop, god handling. Wished you guys had these before I got my Eibach springs which I do like but I would of loved being able to support Corksport some more. Where oh where does one get that awesome front splitter shown in the pic? I've been looking for one of those for a long time. >>CorkSport Reply:The bumper is made by AutoExe. really looking into purchasing but the drop height concerns me a little. what are the chances that i will need to roll the fenders after putting these on? >>CorkSport Reply: You will not need to roll your fenders unless you have a wider than 8 inch wheel and a offset which pushes the wheels past the lip of the fender. do these fit a 2006 mazda3 4 doors? >>CorkSport Reply: They work great on the 2006 4 door models. Will these fit on a 2006 mazda 3 sedan? I'm considering getting these for my 2.0, would these decrease the life expectancy of my shocks/struts? >>CorkSport Reply: Life if your shocks really depends on the roads in your area and how you drive. The springs still keep the shocks in their intended operating range. What are the spring rates? Do you have any pictures of a Mazda 3 on your springs or just the Mazdaspeed? do these require new cambers as well. or are they just suggested? >>CorkSport Reply: They are just suggested. can these be used with stock shocks? >>CorkSport Reply: Yes you can. Do these fit 2012 mazda 3 skyactiv touring i sedan? >>CorkSport Reply: Yes the do fit. >>CorkSport Reply: Yes they will. >>CorkSport Reply:The camber arms are a good idea but not required. What about the skyactive model with these springs? >>CorkSport Reply: They will fit the Skyactiv models. Hey there! I was wondering if these fits on a mazda 3 2012 H/B ? >>CorkSport Reply: Yes they do! I have a 2012 Mazda 3 skyactive. I was wondering will these springs work okay with having a 225/45R18 set up with a 38mm offset. Will I need to roll the fenders, or will it cause issues to the tires from going over bumps? You should be okay running a wheel of that size with that high of an offset. ive upgraded my wheels from a 205/55/16 to a 225/30/20. can i still use these springs to lower my car? If im in a 2007 2.3 with speed3 18, 225/40/18 will these still fit alright? And what the warrenty? If you have close to a stock wheel offset you should be fine. Hi, I got a Mazda 3 2011 hatch and was planning to buy some springs. But after asking 2 or 3 question. I heard that the back look to much higher compare to the front. I that real? Is there anything i can do to get them at the same level? The rear has a larger drop than the front. I want to compare these to other springs in regards to stiffness. What is the spring rate on these? Is it the same throughout or variable? You are going to see around 7% increase in spring rate. I've got a 2006 3 but I have rx8 wheels and ½inch spacers so my tires stick out, will these still work with my car? Or will I have to roll my fenders? You may have to do a slight fender roll. That wheel setup should be fine with the correct tire size. As of this answer we have both the shocks and springs in stock. Do I have to do any modifications to my shocks, structs, etc??? Can I just install the springs just like that? It depends on the milage you have on your Mazda 3. If you are under 30k you are most likely ok. If you are over 30k installing new struts at the same time as the springs would be a good idea. Normal speed bumps should be fine with the springs. In previous post you mention adding rear camber plates. Where can I buy those? Stock wheels will work just fine, most aftermarket wheels if sized properly will as well. You will need to align the car to correct the toe on the suspension. You do not need the camber arms but they are a good idea for making the rear camber even between both sides of your Mazda 3. Do I need a camber kit after installing these as well? You do not need them but they are a good idea for making the rear camber even between both sides of your Mazda 3. Does this mean that without the camber control arms one side will have more camber vs. the other? Possibly yes. We have seen it on our shop car and several others in the past. how many springs come with the 2013 mazda 3 springs? 4 springs total, 2 front and 2 rear. Make sure the rear springs are locked into place against the lower control arm. If they are not spun against it you can get noise from the suspension over bumps. These springs just replace the old factory springs right? Or do I need to by any other additional items to lower my 2012 Mazda 3? I would look at getting rear camber arms to install at the same time. The factory settings are pretty liberal in range and having the car set the same helps with tire wear. Swaybars do a good job of limiting body roll so they would work well with or without lowering springs. To get the most out of the springs they would help. Yes they will as long as you are not running a crazy offset. Will these work with koni orange strut/shocks? Do the springs fit the 2010 mazda 3, 1.6 petrol?? We have not tried them on a 1.6L model but they should fit the same. The amount of drop might be different due to weight differences. If I want to lower the back more than the front can I just switch it and use the 2.25 drop on the back 2 tires? The front springs will not work on the rear. Will these work on a 2008 Mazda 3 Sedan? Will my car be fine if i put 5ppl in it with this aftermarket springs? Average size 5 people should be fine. The car would be pretty low though. Will a camber kit be required along with purchasing the lowering springs? Or can I just do an alignment once they are installed? The lowering springs can be installed and a factory alignment can still be maintained with the stock camber adjustment. Will it fit on a mazda 3 2004 sedan ? Will I have to get aftermarket shocks if I want to put these on my mazda 3? The can be used with OEM or aftermarket shocks. They will fit the 2007 Hatchback. The drop might be slightly different but should be in the 1.75-2.5" range. Can these be used on a 2008 mazda 3 hatchback? They will work on a 2008 Mazda 3 Hatchback. So these just swap original ones with these and that's it? Correct, they can replace an otherwise stock suspension system and that is all that is necessary. This part is lowering springs not a coilover. The springs we offer can be used with adjustable struts.